Do you need passports for children when traveling to other countries? The answer is an emphatic “yes”! 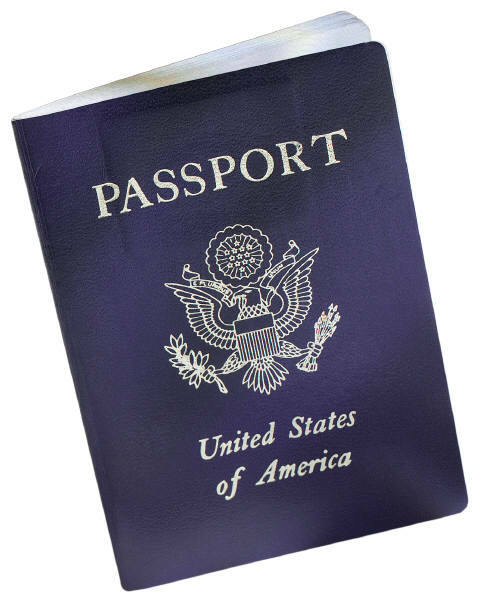 Even when traveling to Mexico, EVERY U.S. citizen is required to have a valid passport. The only exception is travel to Canada by land or sea. When traveling from Canada by air, you are still required to present a valid passport upon return to the United States. This includes children. But a child is still allowed back into the US from Canada with only a birth certificate as proof of citizenship. Six weeks ago, we had a two week trip to Mexico scheduled over Thanksgiving break. For weeks before the trip, dreams of warm sandy beaches, swimming with dolphins and lunch by the pool sustained us through a cold, wet northern Michigan fall. The night before our trip, we stayed in a hotel near the airport in anticipation of an early morning departure. The morning of the flight, we dragged the kids out of bed at 5:30am to eat a hurried breakfast in the hotel lobby. Then everyone bundled into the cold car and dashed off to the airport for a 7:40am departure. Despite being cold, tired and a little hungry, the energy level in the car was high and everyone was in good spirits. That was soon to change. Phone calls were made in a desparate attempt to see if there was any exception that could be made. But all parties involved knew it was an exercise in futility. After all, we were in the unrelenting realm of the Department of Homeland Security. I felt like I’d been slapped across the face. In the intricate dance of “who does what” in the family, passports are indisputably my responsibility. To make matters worse, my husband had e-mailed a reminder weeks ago to make sure all the passports were current. I’d failed to open that e-mail. Surrounded by faces stricken with disappointment and despair, I collapsed in tears and kept repeating, “I’m sorry. I’m so, so sorry.” John and the kids’ feeble attempts to console just made matters worse. Most of the drive home was very quiet, with the exception of Christopher saying things like, “Why aren’t we going to Mexico? I was really looking forward to going to Mexico”, only to be hushed by his sisters before mom started crying again. Later that afternoon, John was able to reschedule the flight and hotels for the following Saturday. It would be a slightly shorter trip, but at least we would get to go. Now the challenge was to get Christopher’s passport application submitted and returned in 5 days time. It was Friday and we needed the passport by Wednesday prior to the US Passport Office closing on Thursday for Thanksgiving weekend. I contacted PassportsandVisas.com. No problem. 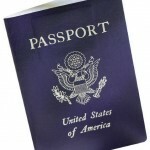 With a LOT of money, including over $100 in Fed Ex charges, we would have the passport in time. On Tuesday morning, I got a call. “Hi, Christy? This is Mark at PassportsandVisas.com. I have some really bad news. Your son’s passport application was rejected. The letter authorizing us to submit his passport application was on the outside of the sealed envelope, not inside the sealed envelope.” When I submitted all the paperwork at the post office, the post office’s instructions said to put the letter of authorization on the outside of the envelope. I told them that I had two copies. Why not just put one copy inside the envelope and one outside the envelope, as instructed by PassportsandVisas.com website? But the post office employee was reluctant to put anything in the envelope that was not included in his instructions. And so… the passport application was rejected. Mark had more bad news. They missed the window for same-day service on Tuesday to re-submit the passport. And the US passport offices were refusing to do same day service on Wednesday due to the upcoming Thanksgiving holiday. So the passport would not be in my hands until the following Monday, thereby missing Saturday’s flight. My hands started shaking and I broke out in a sweat. This can’t be happening! I asked for the number for the US Passport offices and Mark gave me the main information line, though he said that there really wasn’t anything that could be done. I spent the day working my way from supervisor to supervisor and finally ended up on the phone with a high level US passport specialist. The only reason I had a case at all was because the post office employee was acting as an agent to the US passport office when they process passport application. If a US passport agent had the wrong instructions, then it was arguably an internal US passport agency issue that caused the application denial. After seven hours of calls, e-mails, etc. the passport was completed and was picked up by the courier for Passportsandvisas.com. Mark was extremely helpful through the process. In the end, he said that in 13 years working with the US Passport Office, he’d never seen anything like this. It was nothing short of a miracle. Rules and regulations change. Always check the U.S. State Department page on Passports for Children to verify you have the latest information. If you are obtaining US passports for children through the post office or another US passport application acceptance facility, be sure to make an appointment in advance to avoid unnecessary waiting. 1) Both parents and the child need to be present. If one parent is not present, you will need a notorized letter of authorization from the other parent. Go here for details on how to handle a spouse that is MIA or sticky custodial situations. Both parents will need to provide a photocopy of identification. This includes a US issued driver’s license or passport. You also need to have this piece of identification with you when you appear in person. 2) Form DS-11. Complete Form DS-11 online or print out for DS-11 and fill it out by hand. DO NOT SIGN IT. You must sign it in front of a US passport acceptance official. 3) Proof of U.S. Citizenship. This can be a birth certificate or a previous US passport. 4) Proof of parent’s relationship to the child. In almost every case, this is a birth certificate. In those sticky custodial situation, you will also need a court order establishing custody. 5) One passport photo that meets the US State Department’s passport photo guidelines. This can be incredibly challenging to do on your own. Rather than risk the rejection of your passport application, it’s best to go to a drug store or post office where passport pictures are taken on a regular basis. 6) Fee for US passports for children. The US Passport office provides a means for you check the status your application online5-7 days after applying for passports for children. If you are leaving for a international trip within the two weeks or are visiting a country that requires a visa and are departing withing four weeks, you will need to appear in person at one of 24 regional passport offices in the U.S. or submit your application through a reliable passport and visa expediting service. I was very impressed with my experience through Passportsandvisas.com. They were willing to jump through hoops in our Mexico travel debacle, including getting on the phone with the US Passport offices when needed and venturing well beyond “procedure” to make it happen. I’d without a doubt donate to this superb blog! I guess for now i’ll settle for book-marking and adding your RSS feed to my Google account.